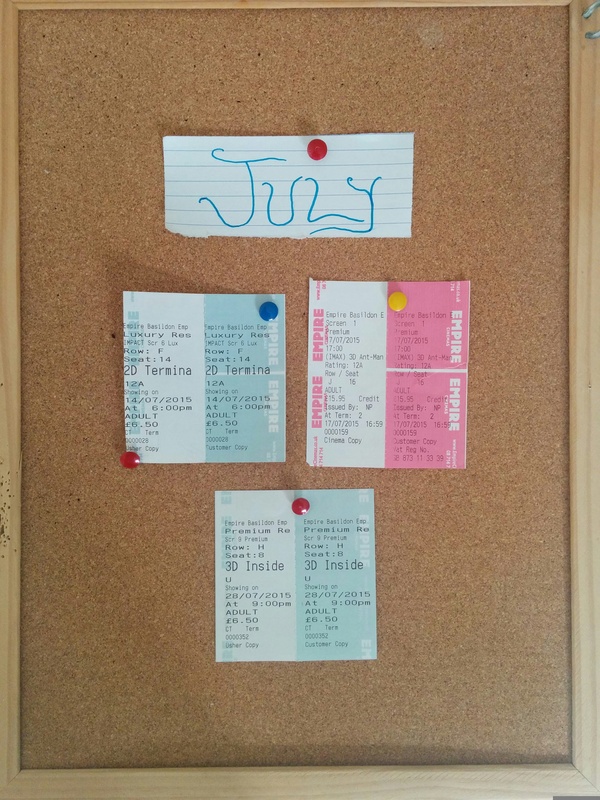 Month in Stubs returns with a quick recap of July’s cinema viewings. Follow the links for a more in depth review. Pixar’s latest outing is fun, refreshing, and emotional. Taking the viewer on a journey through Riley’s conscious mind we’re treated to a depth of character development and vivid imagination. With a worthy * * * * Inside Out is a tasty treat for children and adults alike. Check it out. Really like this Month in Stubs thing. Thanks Vin, I haven’t done it since November so it’s nice to get it going again! It’s nice to go back to something you haven’t done in a while. Even looking back through my reviews, I could hardly keep track of everything I see in a month. Makes me tired. I also trash my stubs quickly – gotta keep my purse looking nice! I got an idea. Maybe you could also give each movie its own image with stub with your star rating on the ticket (CG graphic or crayon). Just a thought. I really enjoy the quick hit verdict in like 1 or 2 sentences, as well. Nice work, buddy.